A bright, young and growing tribe is ­choosing the ‘for-profit’ path to bridge ­unmet social and ecological needs. 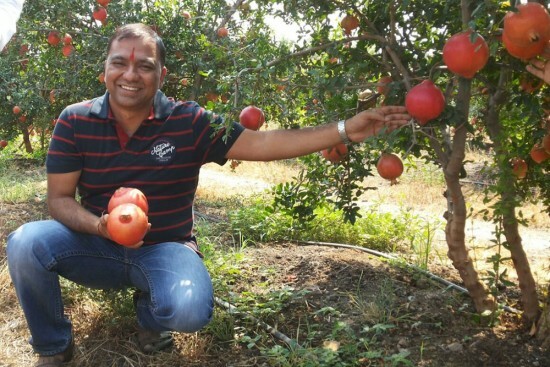 Focused on farmers, supply chain and exports, INI Farms was the offshoot of Khan­delwal’s first consultancy ­venture in 2003, which was ­aimed at helping European ­companies set up a base in India. Market research as part of the consultancy made him ­realise untapped potential in ­agriculture and led him to start farming to better understand the complexities involved. “In 2007, when I started looking closely at agriculture, it was not a field where many wanted to stay on,” says Khandelwal, an alumnus of IIT Kanpur and IIM-Calcutta. “But I felt there was scope for improvement by ­removing inefficiencies.” Currently working with around 800 farmers—right from guiding them in the cultivation of ­pomegranate, banana and lately pineapple—the company is now looking at the domestic market after focusing first on exports. It was a hobby centre started in 2005 for helping children solve problems. Two years later, it was registered as a social enterprise “after realising there could be a sustainable business model with social ­impact”. 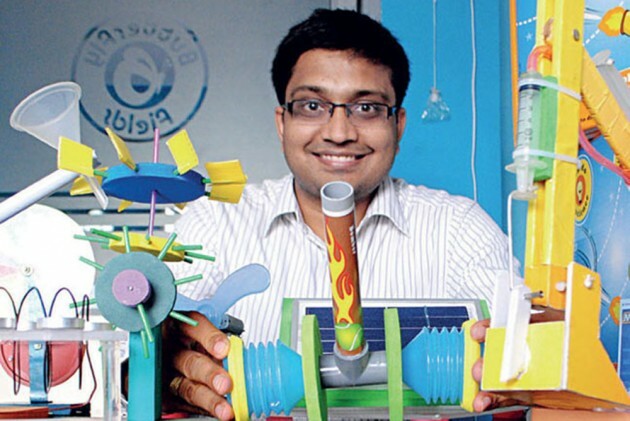 One of the founders later left, leaving the venture to Chandra, an IIT-Bombay and IIM-A alumnus. Trying to make ­education application-­oriented by producing do-it-­yourself kits for experiements in science and mathematics, the venture finally managed to break even last year. Chandra is happy his products impact 9 lakh children, including 2 lakh in private schools, in 60 urban centres across 11 states. 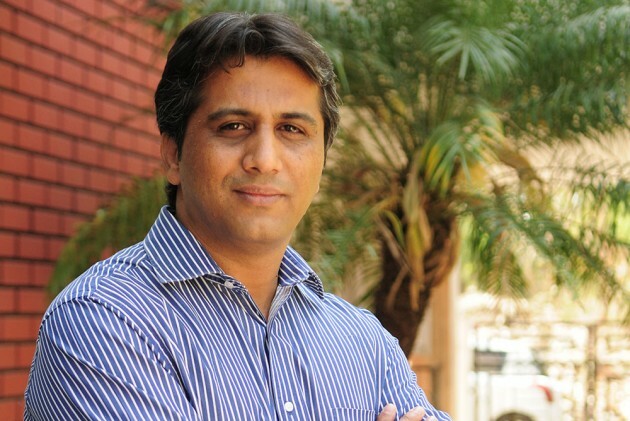 Co-founder and CEO of a venture-funded company set up in 2004, Dr Naik, a resident fellow at Ashoka, a worldwide network of social entrepreneurs, works to provide amenities like int­ensive care, neo-natal care, sur­geries and dialysis in Tier-II and Tier-III cities, to reduce the need to go to big cities. Vaatsalya is now getting venture capital and equity funding and plans to expand to other states over the next three years. “We have definitely imp­­­roved access to services,” he says. Starting as an NGO to help small farmers improve productivity and income, Kumar, an IIT Delhi alumnus, teamed up with a friend from IIT Kharagpur to set up its for-profit arm, Green Agrivolution Pvt Ltd, in 2012 following pilot projects for mobilisation and capacity-building. 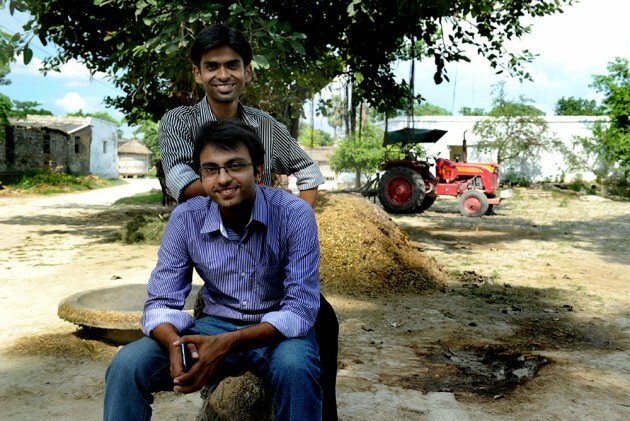 The venture has since been providing one-stop solutions to farmers thr­ough 22 dehat centres. From 10,200 farmers in Bihar, they are in the midst of scaling up in Orissa and Nepal, to set up 125 dehat centres for reaching 1 lakh farmers. “Of course, we are in this field for profit, but not greed,” says Poonam Bir Kasturi, a Natio­nal Institute of Design (NID) Ahmedabad alumnus and founder of Bangalore-based Daily Dump, a social enterprise which sells the idea that waste need not be invisible. It goes like this: Much of our organic waste can be processed at home to make manure; so why not make it happen inside attractive earthenware? While Kasturi uses custom-made and artistically designed pottery for waste recycling at home, and collection and supply of manure, as her ‘impact’ business model, scores of others have, over the past decade, been charting new, socially relevant businesses in what were traditionally believed to be the government’s domain—health, education, sanitation, waste management, environment, skill development and power supply, among others. What sets apart these entrepreneurs from other private players—including big industrial houses, many of which operate in these areas through their trusts—is that most of them are breaking new grounds in challenging terrains to provide products and services in areas where governments of all hues tend to provide free or subsidised services to create vote banks. Social enterprises are not new to India. For long, they have flourished under the umbrella of cooperatives such as Amul or trade unions like SEWA (which, too, has outgrown its original model to adopt the cooperative model), trusts or not-for-profit non-governmental organisations (NGOs). Since the late 1990s, microfinance institutions too have helped push many enterprises through self-help groups. Over the past decade or so, however, a quiet but encouraging change has come about with well-educated young men and women opting out of corporate or government jobs to start enterprises with a clear des­ign to cash in on unmet demands—better health facilities or educational tools that make learning more fun and easily understood, or help to farmers for improving yield and income. Naturally, all these ventures have a significant social impact. “We have seen a lot of positive growth in the social-enterprise space in the last decade. Several companies come to us at the ideation stage. They are quite successful, growing and generating profits. They are creating products and services that are significantly lower priced than market competition,” says Aparajita Agrawal, ­co-founder, Intellecap, and director of Sankalp Forum Initiative, Asia’s largest social enterprise and investing platform. In some sectors, the social entrepreneurs compete with the government in the provision of basic services. Elsewhere, they work with the government via PPP. Working in several under-served markets, like operating dairies in milk-deficit Jharkhand, they are also providing jobs in vulnerable and low-income communities. According to a study by Intellecap, which has been tracking social enterprises since 2007, most impact investors invest predominantly in enterprises that cater to low-income communities with a per capita income more than $ 1.25 a day, who are able to pay for essential services. In response to the unmet need, private players have emerged with market solutions to the acc­ess and affordability issues in basic services. These enterprises primarily cater to the BoP (bottom of the pyramid) population and engage with them as producers, customers, employees or entrepreneurs and improve access to essential services. In some sectors, they compete with the government in the provision of basic services. In others, they work with the government through PPP. For instance, the National Skill Development Corporation (NSDC) was set up in partnership with the private sector with the objective of skilling around 500 million Indians by 2022. While impact enterprises exist all over the country and many operate across multiple regions, they continue to be strongly represented in the southern and western regions where they first took root. This is primarily because microfinance institutions (MFIs) had a strong presence in those regions. In fact, Maharashtra is the leading state with 35 per cent of all impact enterprises in the country. Intellecap has a database of around 1,500 social enterprises across the country. Most are structured as proprietor-held or private-limited company and governed by company law. They are allowed to generate and distribute profit. They can go out and raise resources from investors and distribute it. What distinguishes them is their dir­ect social impact. Set to begin operations, the first batch of SSE will have only 17 students. The youngest is 18 years and the oldest 40. The nine-month course will have only 30 days of class work, for the emphasis is on field work to help the students understand the challenges of running a social enterprise. Globally, this is a rapidly growing segment. Last year, for instance, there were many Indian companies among the 31 enterprises that received the Schwab Foundation awards. Together these 31 companies had combined revenue of $1 billion. Compared to the trends in developed nations, in India so far there is no global scale social enterprise on the lines of Infosys or TCS, both globally recognised IT icons, says David Wilcox, founder of ReachScale, an organisation that aligns the social responsibility goals of corporations with high-potential social entrepreneurs. 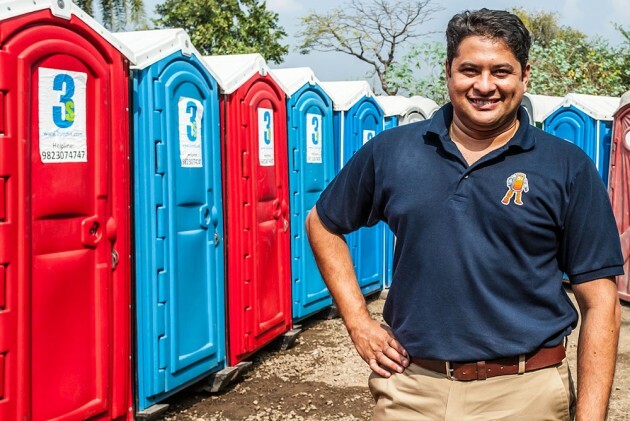 Impact enterprises are often started by those who see an ­opportunity in ­innovative ­solutions to ­resolve a problem, with some help from family and friends. The reason for this is lack of resources in developing nations that necessarily drive innovation to solve problems. Studies of the sector reveal that unlike in the case of tech startups, the growth of social enterprises is not very rapid. But the failure rate, too, is not high. So many survive, with most opting for slow scaling up. In many cases, particularly over the past four or five years with government actions forcing several NGOs to reduce dependence on foreign funding, there is a slow transition to the for-profit model to generate “own resources”. Given the groundwork already done and a better understanding of local needs, these NGOs are able to better bridge unmet needs—be it in education, health or other services. Social or impact enterprises are generally started by individuals who see an opportunity in resolving a problem through social and innovative solutions. Unlike corporate soc­ial responsibility (CSR) projects, which are mandated under law and backed by money, most social enterprises begin on a small note with funding and backing of friends and family members. “CSR is government mandate so they follow the law and work in areas demarcated by the government. Not so the social entrepreneurs who go to areas compelled by what they get moved about the most—water, organic waste, skill-building, maternal healthcare. So, the areas they cover are very varied,” says Payal Randhawa, executive director of Resource Alliance, India, which partners with civil society organisations to increase their influence and enhance their fundraising capabilities. Payal stresses that there is no cut-and-paste model to social enterprise. Similarly, their scale cannot be measured on the corporate yardstick as they work very differently. Of course, the hardnosed corporate approach helps sometimes, so many social entrepreneurs may take lessons from the corporates. This is more so in cases where outside investment has come in and you have deliverables. Studies reveal that many entrepreneurs are highly qualified, belong to privileged backgrounds, and have also worked as act­ivists (for instance, Anshu Gupta, an IIMC graduate who runs Goonj). That probably helped make the entrepreneurial activities of people like her socially acceptable and an attractive proposition others wanted to be part of—for a larger change in the world. In the period 2000-14, investments worth $1.6 billion have been made in more than 220 enterprises, according to Intellecap report. Impact funds have invested in more than twice as many enterprises in first-round deals as compared to mainstream VCs, indicating smaller deal sizes and highlighting the breadth of enterprises where they provide early stage capital. More than the educational qualification, there is an ecosystem to support them, though not as firm as an industry body. There are schools to train them, incubations to support the system. And there are awards and fellowships. There are investors ready to step in with the next big idea. More importantly, there are mentors available. Unlike in the West, the federal and state governments in India are still to realise their potential to not just create jobs but also fill major gaps in the social infrastructure.